Join the Experts to learn about possibilites with ASP.NET Core and .NET Core. Discuss among like minded people and explore the power of .NET. Deploy ASP.NET Core applications using Docker Containers. Learn about ASP.NET Core - Deep dive on building a real website. Learn how to build Secure Web APIs with ASP.NET Core. Want to bring existing .NET Applications to the Universal Windows Platform? DotNetConf.local event is happening all over the world. Join us for the event to meet best speakers from around India. Corporate Trainer and IT Consultant. Microsoft .NET expert. Conducted numerous trainings on .NET technologies and POC's. 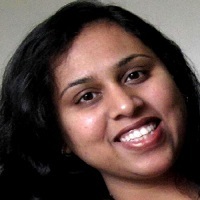 Sr. Technology Evangelist at Developer Experience group, Microsoft India. Responsible for evangelizing the latest Microsoft technologies and products to developers, Architects and business decision makers. 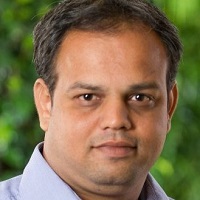 Mayur Tendulkar currently works as Developer Evangelist for Xamarin. Before this, he worked as a Local Type Inference (for outsiders: Consultant) at Zevenseas. 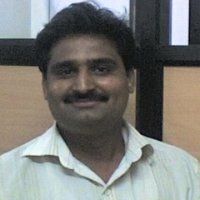 He has been an active volunteer/member of Pune & Mumbai User Group. He was a Microsoft Student Partner and Lead from 2008-2010. He has delivered numerous sessions at various colleges and corporate trainings at various organizations. 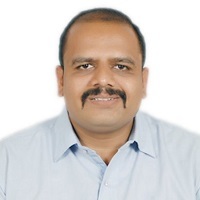 For his contribution to the community, Microsoft has awarded him Microsoft Most Valuable Professional award in Windows Platform Development (previously Windows Phone Development) category since April 2013. Specialties: HTML5, jQuery, Sencha, PhoneGap, Google APIs, Microsoft .NET Framework, .NET Compact Framework, ASP.NET, Web Services and Windows Mobile, Windows Phone Application Development. 01:45 PM - 03:00 PM What is MVC 6? Keynote session about State of .NET (Past, Present and Future). The .NET Core CLI is a new foundational cross-platform toolchain for developing .NET Core applications. In this session we will see right from installation of CLI on different platforms to .Net most used commands along with the demos. We will also look at CLI extensibility model and usage in CI environments. Learn about what is MVC 6? 1. New Features of MVC 6. 2. How to create container and deploy apps, Things to know. 3. Hosting asp.net core apps on Linux. Thank you for your interest in DotNetConf.local. Event venue is given below. To get the latest updates from DotNetConf.local, connect with us on Facebook or Twitter.